Scroll down for a quick and easy cost calculator! 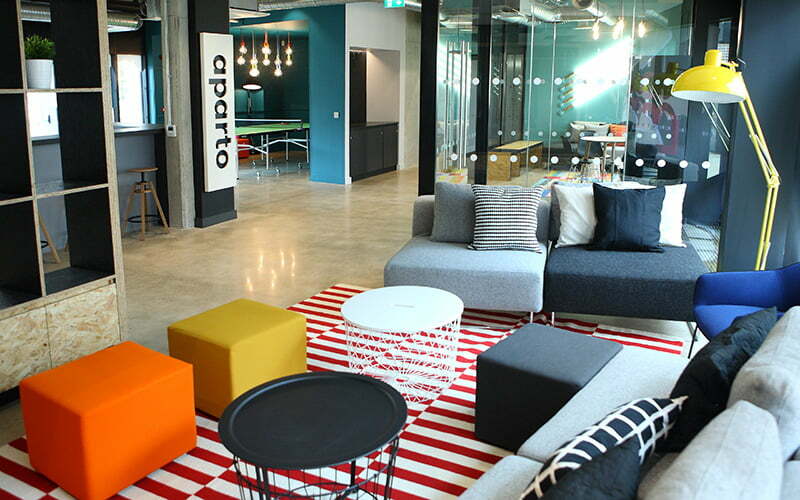 A polished concrete floor is an extremely good choice for the environmentally conscious among us. Concrete is a product that needs to be installed in every new build. It therefore functions both as a foundation slab and your finished floor. By polishing your concrete foundation, you are avoiding having to add unnecessary waste to the environment. No trees need to be chopped down and no epoxies or resins are used during the process. It also has a low eco footprint as it is sourced and mixed locally. It is an excellent energy-saving solution thanks to its thermal mass and ability to retain heat. Concrete retains absorbed heat for long periods of time, moderating indoor temperature fluctuations. It is ideal for both underfloor heating and as part of a passive solar house. 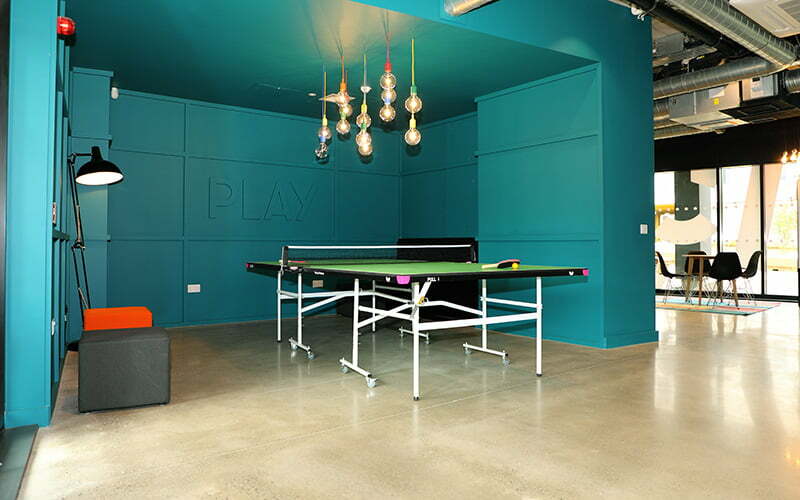 Polished concrete has fantastic light reflective properties. 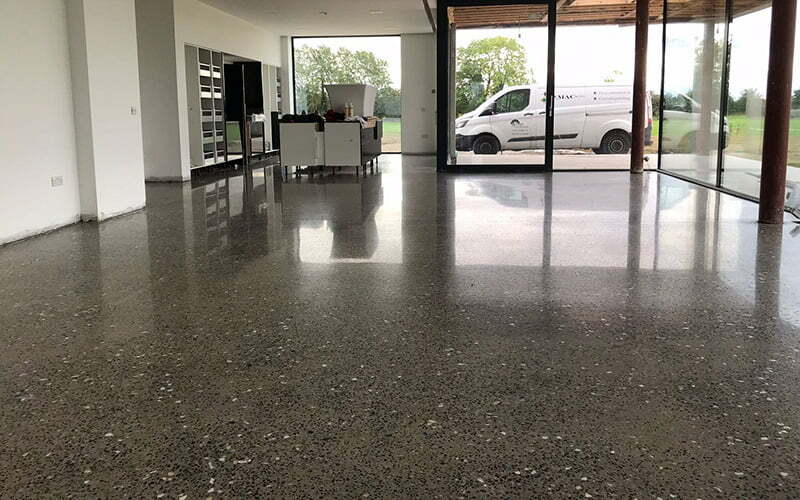 A polished concrete floor will reflect any natural or artificial light, which not only looks stunning but also cuts down on your lighting costs! 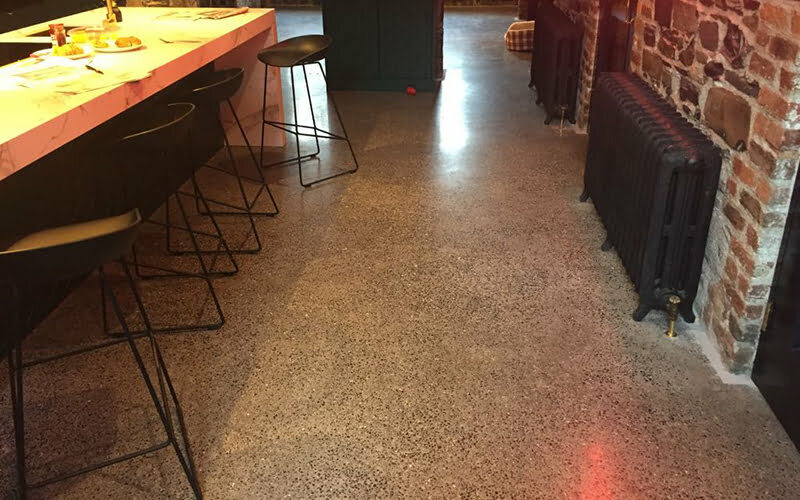 Of course, the most obvious reason polished concrete has become the floor of choice is because of its fabulous aesthetic. Depending on your taste, you can choose to grind down deep into your concrete slab and expose the various aggregate (stones) in your concrete. This can then be brought up to a matt or super shiny surface. 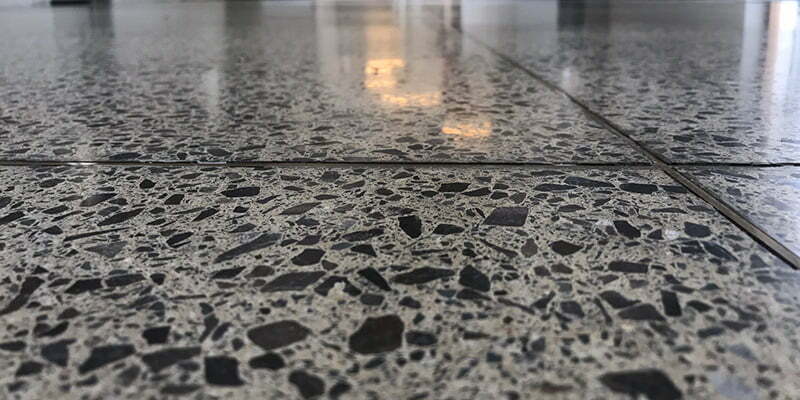 Or you may prefer the more monotone look of concrete; this is where the first grind is more shallow, exposing very little aggregate and then polished up to the desired shine. 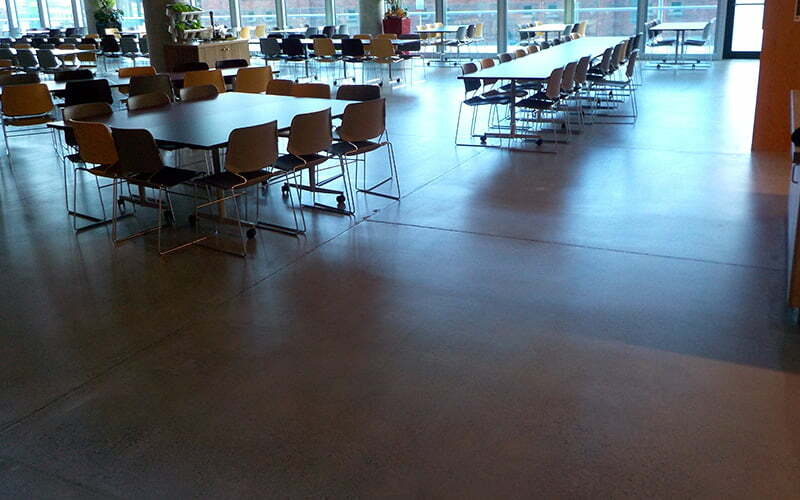 Concrete’s durability is truly unbeatable when it comes to floor surfaces. 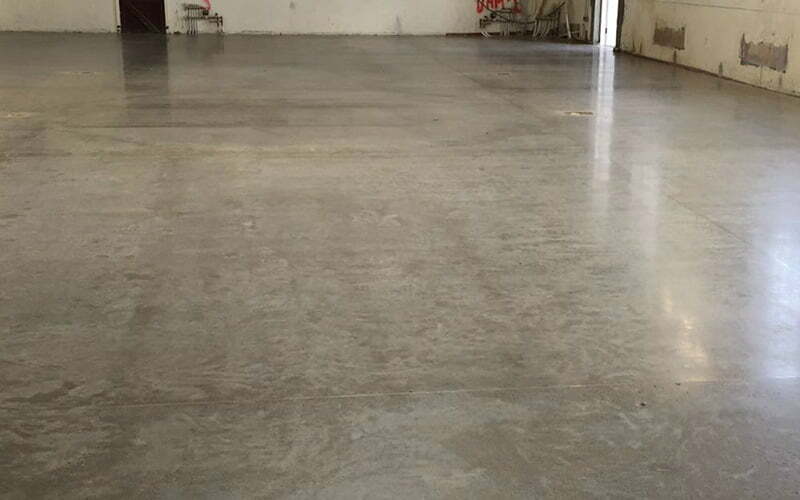 A polished concrete floor will last the lifetime of your building. Another great advantage is its low maintenance attributes. All it takes is regular mopping with a pH neutral soap and a quick buff to help it retain its lustre. No cyclical stripping, re-varnishing or re-polishing required! In fact, overall maintenance is reduced by 60% when compared with other surfaces. An added bonus is that no grout joints or gaps between timber boards means no magnetizing traps for dirt and dust. So now that you’re convinced you want a polished concrete floor for your project, you need to calculate how much it will cost. There are two parts to cover: the preparing of the concrete and the actual polishing. First things first – what kind of concrete? The first thing you need to consider is the cost of your concrete. In fact, when talking about any new build you are going to have to factor in this cost anyway. However, if you intend to polish your concrete slab you need to be a bit more particular about your concrete mix and how well it is poured, so this might cost you a bit extra than a regular concrete foundation. This is, after all, going to be your finished floor, so it is paramount you get it right. Generally, we would advise leaving this element of the job to someone who has experience ordering and pouring concrete suitable for polishing. When ordering the concrete, it is important to specify the correct size and ratio of aggregate in your cement. You should have no fewer than three different sizes of aggregate in your mix – fine, intermediate and large. The improper gradation of aggregate can lead to the mix segregating, leaving sandy patches in your final floor. It is also important to ensure that no mesh fibres are used in the mix and polypropylene ones are used instead. This helps prevent cracking. Also, mesh fibres can rust and show through in your finished floor. When the cement arrives on site, there are a few pointers to follow to help ensure you get the best possible finish for your floor. There is a bit more labour involved here than with a regular pour, so we would advise you to have the experts on hand. You can’t add water to help the cement to float more easily, as this can cause shrinkage which in turn can lead to cracks. What you want is for your concrete to be floated right up to the edges, and, if this is done well, you won’t have to fit skirting boards. This will provide you with a beautiful, seamless finish between your floor and wall. Ensure the concrete is handled and manipulated as little as possible. Excessive handling and vibration can also cause segregation. Ensure the concrete is not tamped or poked into place. Your supplier should never shake cement or sand on the floor once poured, as this can lead to visible footprints in your finished floor. Finally, you need to powerfloat your floor and cut incisions every 36 m2 to help direct natural cracks in the concrete. 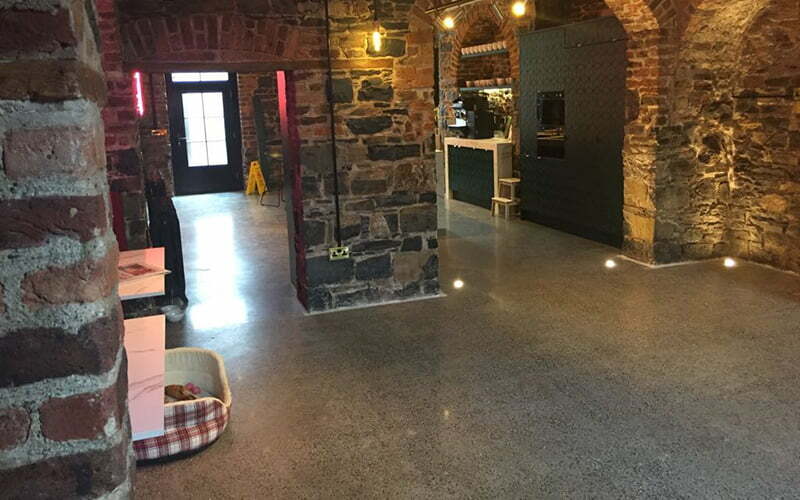 As a guide price, you need to allow for between €55 – €65 for a professional to supply and pour your concrete floor. The larger the surface area the lower this price becomes. Once your concrete is poured, it needs to be left to cure for a minimum of 4 weeks. If it dries out too quickly it can crack. The concrete needs to be left cool, dry and protected from wind during the initial drying out period. It is better to ensure your roof and windows are in before you pour your concrete. Polishing concrete is quite a long and labour intensive process. The concrete is initially cut using a variety of diamond disks until the desired amount of aggregate is exposed. Once this is achieved a densifier is added to the concrete which hardens it. Then the concrete is polished and re-honed using progressively finer disks, until the desired shine is achieved. The Platinum finish involves more grinding steps, bringing the floor up to a 3,000 grit – a highly polished finish. Approximately 3 mm is ground off. The polishing process closes the pores, facilitating its resistance to staining. The more the concrete is polished, the more its pores are closed. The Gold finish has a finer initial grinding step. 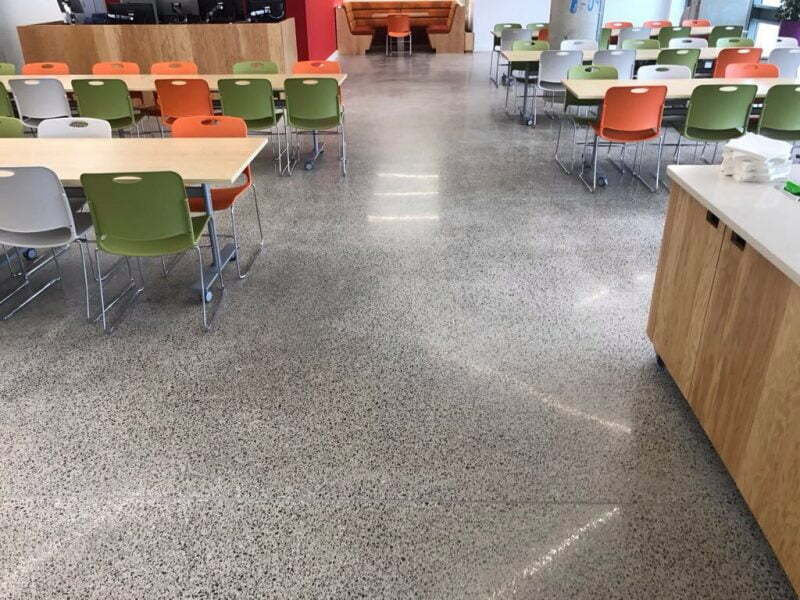 This gives a smooth, stone-free polished concrete look, and a highly reflective surface. Typically, 1 mm of the surface is ground away, so there is no room for error or variations in levels. 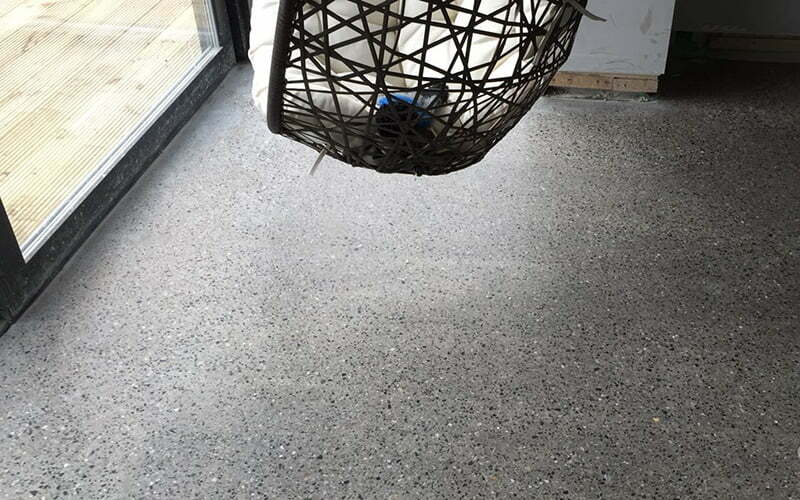 This finish can only be achieved if the concrete has been power floated and is completely smooth before the grinding commences. The Silver finish involves grinding off the surface paste. It reveals the variations in sand, gravel and aggregate underneath the sandy layer. 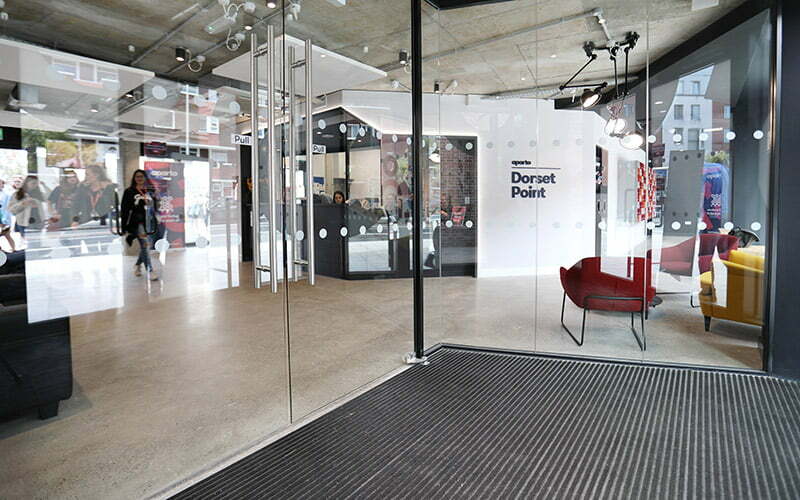 The silver finish gives the characteristics of a well-ground floor with a matte finish. After the first grind, progressively smaller diamond disks are used to remove the scratches made by the previous grind. The silver finish is left with a matte or satin look. Once complete, the floor will be given a suitable seal to give added protection. 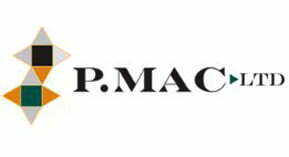 Find below a price guide for polishing concrete to the various finishes available. You need to add on approximately €20 per m2 for sites over an hour from Dublin – to allow for travel and overnight expenses. Steps and bespoke surfaces are polished by hand and are, therefore, calculated separately. For the platinum finish, you need to allow approximately 1 day to grind and polish 10 m2. The gold and silver finishes are slightly less.